This idea is something I made a long time ago, but was lost when tnws.org was lost, and I wasn't able to recover it, so I decided to remake it. Included is a medieval crib and changing table. 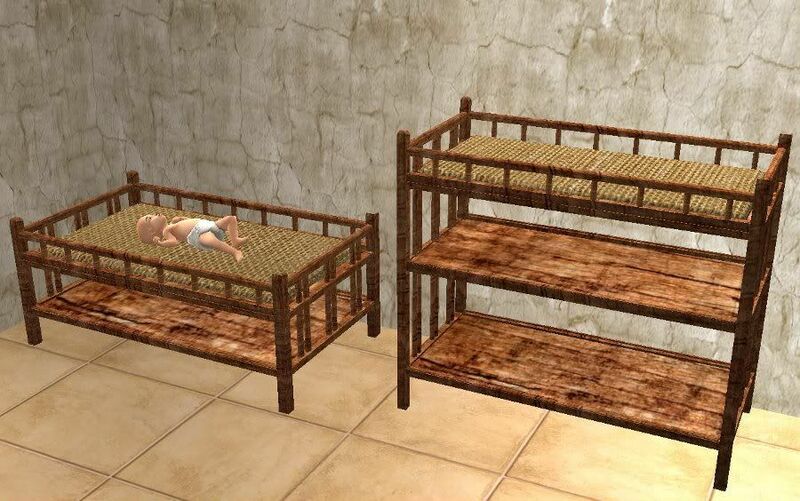 The crib is repo linked to the changing table, so any recolors of the changing table you have in your downloads folder will show up in the crib as well. The changing table is recolorable, the crib is not, for a recolor to show up in the crib, you need to recolor the changing table. These are both low poly items (crib - 846, changing table - 924) Files have been compressed. Enjoy!